I’m excited to be presenting Self-Tracking with Dawn Nafus at SXSW 2017 in March in Austin Texas. There is an explosion of self-directed tracking on smartphones and wearable devices. A whopping 110 million wearable sensors shipped in 2016. 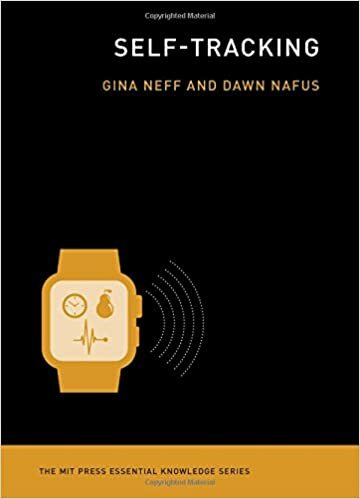 This session is a book talk by the authors of an “essential knowledge” book published this year by MIT– Self-Tracking, which Science magazine called “excellent” and “nuanced.” The authors show how early adopters are recording, analyzing, and reflecting on data from wearables and mobile sensors. In this session you’ll learn why communities are important for making meaning from data and why people sometimes hack these devices in ways at odds with how they were designed. You’ll learn about why your new normal will emerge and why it matters. This is my review essay on “The Age of Sharing”, published in Culture Digitally. John’s examination of sharing lays bare a larger ideological project. As a concept, sharing captures a kinder, gentler kind of interaction—one that John covers at length in sections on childhood and the so-called natural state of human economic behaviour (tl;dr – there is no kinder, gentler state of human of nature). His argument is convincing. And it is an argument should have economic sociologists interested in this book, opening up ways to extend his argument further. John does not use Émile Durkheim’s notions of mechanical and organic solidarity to describe the work that the concept of sharing does for contemporary economic life, but he very well could have. Pre-modern society worked on “mechanical” solidarity: small communities with tight social ties ensured that our economic transactions will be repeated, lowering any chance that one side will cheat the other and creating community-based mechanisms for dealing with it when they do. 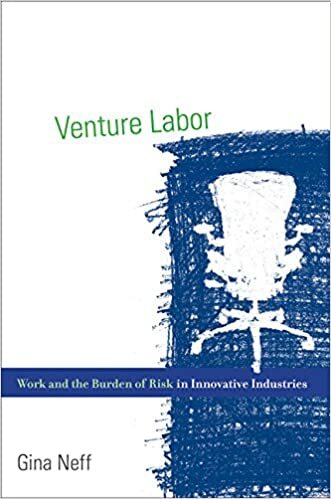 Durkheim suggests that modern society is the opposite: everyone has a job to do within a complex division of labor, and we no longer need to rely on trust and community ties to ensure fair exchange. The problem with the sharing economy, in John’s rich description of it, is that it seeks to re-enchant the modern economy with these kinds of pre-modern ties described by Durkheim. 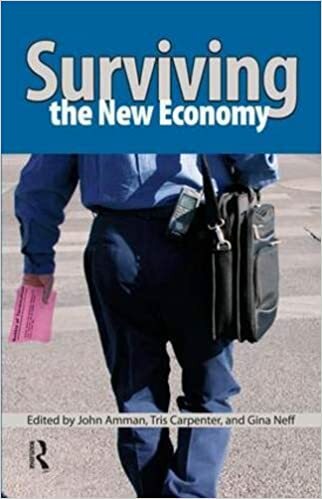 The message of the sharing economy, according to John, is that “technologically enabled sharing is somehow a return to an older and better way of living” (83) and “that sharing will help us regain a paradise lost.” (81) We should all be doubtful and cautious when powerful business interests promise to restore our lost innocence. Which raises, for me, the question of solidarity. The Silicon Valley versions of sharing promise to recreate small communities of like-minds in which any natural altruism is modulated carefully through online platforms—for a small fee, of course. This kind of solidarity is mechanical solidarity at its worst, recalling the ways in which pre-modern communities remained close to outsiders and difference and relied on the basest logic of crowds and gossips. Durkheim’s solution was something that looked more like the solidarity of today’s big urban areas, a sense of belonging to a place that relied on each of us being an important piece of a very large system that needed different kinds of jobs, different kinds of skills, and different kinds of consumption. Durkheim’s metaphor for modern society was not one of sharing, but of reliance—just as a body relies on different organs, so too a modern society needs different people to function. Sharing is polysemic, John concludes, because people evoke the different meanings and values of the word in ways that can be read in differently by different audiences. John’s examination of the difficulties of using sharing as a metaphor for a kinder, gentler economy could not be better timed than when scholars are questioning how social media may contribute societal fragmentation. (Sharing fake news, anyone?) Questioning sharing is the first step. Next is rebuilding a true sense of solidarity as part of, or after, the so-called sharing economy. I gave this keynote address at the “Communicative Figurations” conference at the University of Bremen in December 2016. Today smartphones and wearable devices help people to self-track: hours slept, steps taken, calories consumed, medications administered. Over one hundred million wearable sensors were shipped globally last year to help people gather data about their lives. This keynote examines the social lives of personal data and how reconsidering this data as a media product helps scholars theorize a significant social change. Data about the self is social in how it is recorded, analyzed, and reflected upon. Communities form around digital self-tracking data, advocates argue how the data should and could be used to, and industries create new ways to buy, sell, and share this data. Yet, scholarly literature and practical knowledge alike focus on the personal aspects of self-tracking data, at the risk of limiting the possible interventions and protections of the data and the people from whose bodies and lived experienced the data were produced. To understand the social lives of data, I look at the practices of serious self-tracking enthusiasts, the design of commercial self-tracking technology, and how self-tracking is being used to fill serious gaps in the healthcare system. Can mediatization approaches help explain self-tracking practices, and in turn can these practices extend communication theory? Today no one can lead an entirely untracked life. But can this data be used in a way that empowers and educates the people who generate it? The answer depends on the social design of self-tracking data.